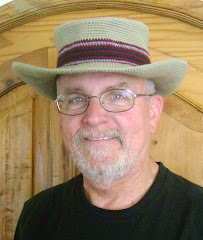 I've created a new hat! 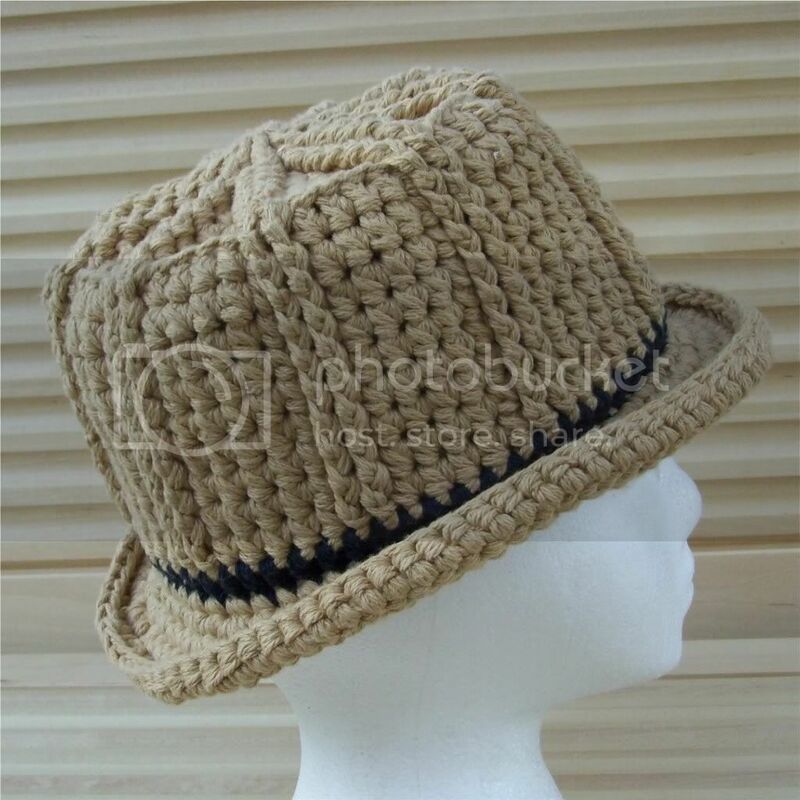 This one's a unisex fedora made from cotton yarn. The crown is made from two strands and the brim is three stands. The color is "Camel" with a black band. Long Time ....!!!! This is beautiful ....like all the others...Great Job.! VERY nice! Now that I can GET packages from anywhere in the US, I will have to find a source for this yarn! Will you be selling this pattern? Where? Exactly WHAT kind of cotton yarn did you use? Yes, I'm working on the pattern now. The yarn used was Peaches & Cream. 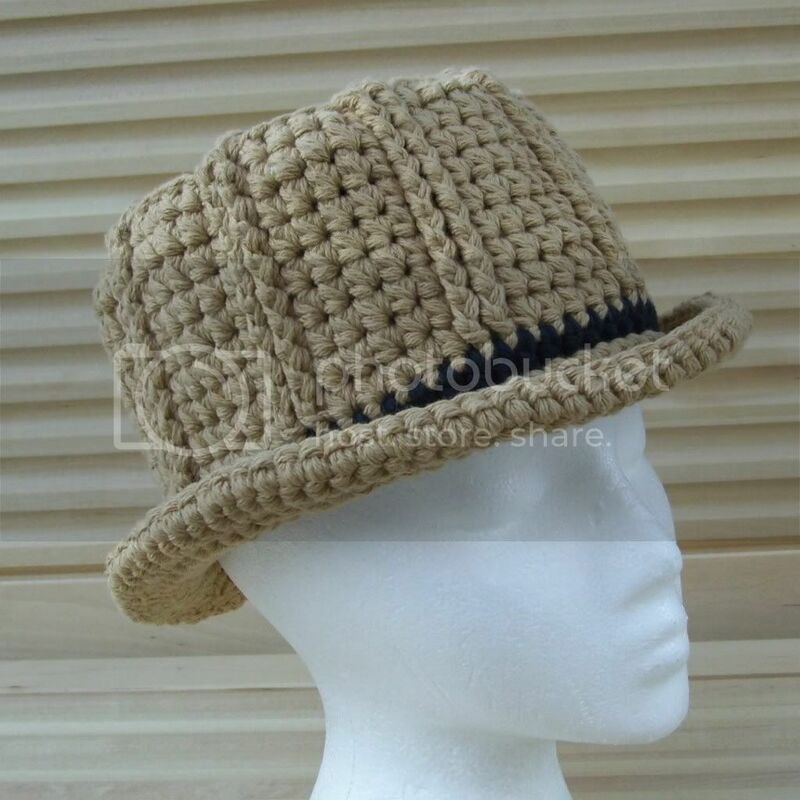 very nice hat.. how is the pattern coming along i would defiantly be interested in one..
that is soo fashionable correct. would love to put that on my boldish head. Cheers. Do you by any chance have a baby/young child version of this pattern? I would definitely be interested! Do you have a baby/child size version of this pattern? I would definitely be interested!